Sadness is a part of your life, says who! Imagine a vegetable vendor who adds a few extra grams into your bag. Do you like him or dislike him? Imagine a real estate agent who takes your money, in advance, promises to show you a fantastic apartment, but fails to deliver according to your expectations. Do you like him or dislike him? Typically, we like people who give more or take less and we dislike people who take more and give less. Because we love to TAKE more and GIVE less! As many people do, even I think, our life in this world is like a game. And, as with most of the games, the purpose is to have a good time. The sign that we are having a good time with the game is it making us happy. Happiness is the balance of give-take in the aggregate value exchange with people. identify what is Valuable to you. —understand that Value is not zero-sum (meaning: everyone can receive value, and, still, no one has to lose their share). explicitly mention what is that you value to the person with whom you would be dealing. filter out people who do not share the same values with you. Now, coming back to the balanced give-take theory. Consider, we tip the scale towards “take”. 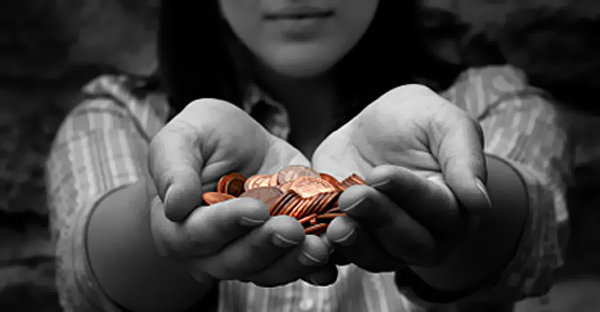 For e.g., consider an interaction where we get more benefit in lieu of the money we give to the person, concerned. Frankly, it may feel great at the moment, but later, the excitement starts to die away. Then, on the next interaction with some other person, we will use our previous experience and feel that we deserve a higher benefit in lieu of our money. And, if we, still, manage to get that, then, on the next interaction with some other person, the process continues, until, when we reach a stage, wherein, we meet someone who is practical, enough, and does not agree with our skewed sense of entitlement, and does not give us as much as we “falsely believe” we deserve to get. And, all the previous benefits that we had received only adds to our grief. Now, going back to the first experience, if we were honest with the person regarding the higher benefits we are getting from him, either he will let us keep more (which means, he likes us) or he will go with the fair price (which means, his trust in us has increased). Either way, we will feel that we have got what we rightly deserved from the interaction. This feeling of getting what we rightly deserve, from the aggregate of all our interaction, at any point in time, is what keeps us happy. I mentioned “aggregate of all our interactions”, which means: we may not have a balanced give-take in any one interaction, but, when we consider all our interactions with all the people we have interacted with, the give-take measure is balanced. The imbalance between “give” and “take” in our life is what makes us feel sad. On the other hand, consider, we tip the scale towards “give”. For e.g., consider an interaction wherein we help someone. If we are not proportionally “getting” from other sources (people), we feel a void inside us, and that makes us sad. It becomes worse if the person doesn’t appreciate what we give, which deprives us of the feeling of “giving”, which accentuates the void. Also, when we give something to someone who doesn’t deserve it (be it, love, money, or anything: tangible or intangible), we feel equally terrible. Happiness = the balance between give and take. Crush on a fellow Traveller?